I positioned this Holly Hedge Estate bride so I could photograph her reflection in the mirror of an antique organ, which stands in the balcony of the old barn. 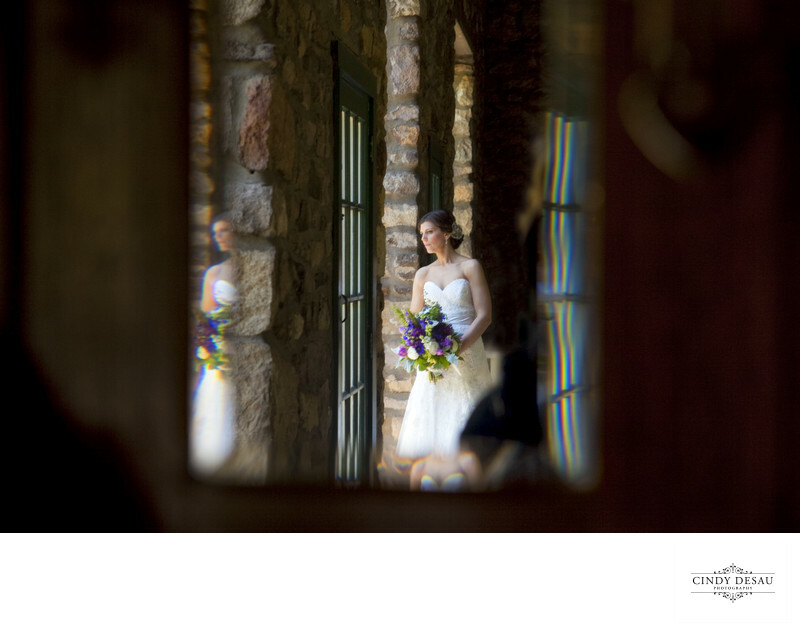 I wanted to keep not only her reflection, but also the beautiful window she is looking out of. I also decided to keep some of the negative space around her for this pleasing, unusual, and artistic composition.